Turkey hunting this year was the most challenging hunt I have encountered. I spent seven days trying to get on this bird. That’s seven days of using vacation time to hunt a few hours every day before and after work. Day after day this bird would come up to the fence within five yards of where I was sitting. I did not have permission to hunt the property where he was roosting, so all I could do was set up the decoys and wait. It would have been so easy to pull the trigger while he was on the neighbor’s property at ten yards; however, being a true sportsman is more important to me than filling a tag. On the seventh day, finally I caught a break! This tom was following a hen and flew across the fence. It was close to three hundred yards away where they crossed the fence and luck was on my side. First, the hen had no interest in him and ran away just as fast as she could. Second, the wind was blowing just enough to give my decoy some movement which caught his attention. It only took a few calls and he was coming in to check things out. It was a perfect set up as he came within ten yards of my decoy in full strut. I was self filming and missed the kill shot, unfortunately. I was so excited to get the video put together until I watched it and realized the action was missed! Although I didn’t get it on camera, it was a pursuit I will never forget. I learned more about turkey behavior in these seven days then I had in the last five years hunting. I had been afraid to call too much in the past while hunting. I still believe afternoon hunts take a lighter approach. 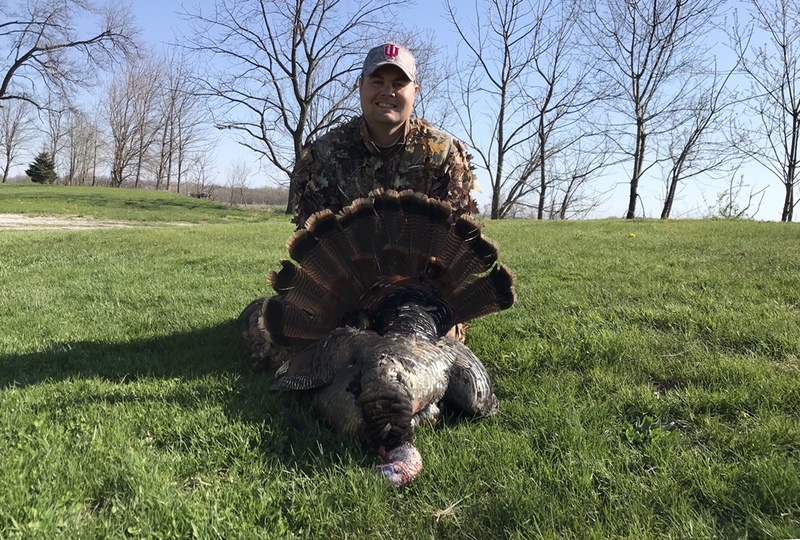 The morning hunts you should call, as Rob Clodfelder would say, “Loud and proud!” I was able to call birds right back to me after they had already been to visit. When they were close I toned it down a little bit but continued to work them until they completely lost interest. This bird hung up on me around seventy yards and looked like he was going to leave so I switched to a different slate and that was all it took, he was coming in hot! While I hope next year is a little easier I have a lot more confidence in my ability to work stubborn birds.